Over the last month or two, Paleo Banana Bread has been my nemesis - that is, however, until last week. You see, I'm really fussy when it comes to creating recipes for the blog. They have to be 110% perfect - and they have to be perfect for 3 batch tests (make it once, make it again and make it again - that's how you know the recipe is consistent). 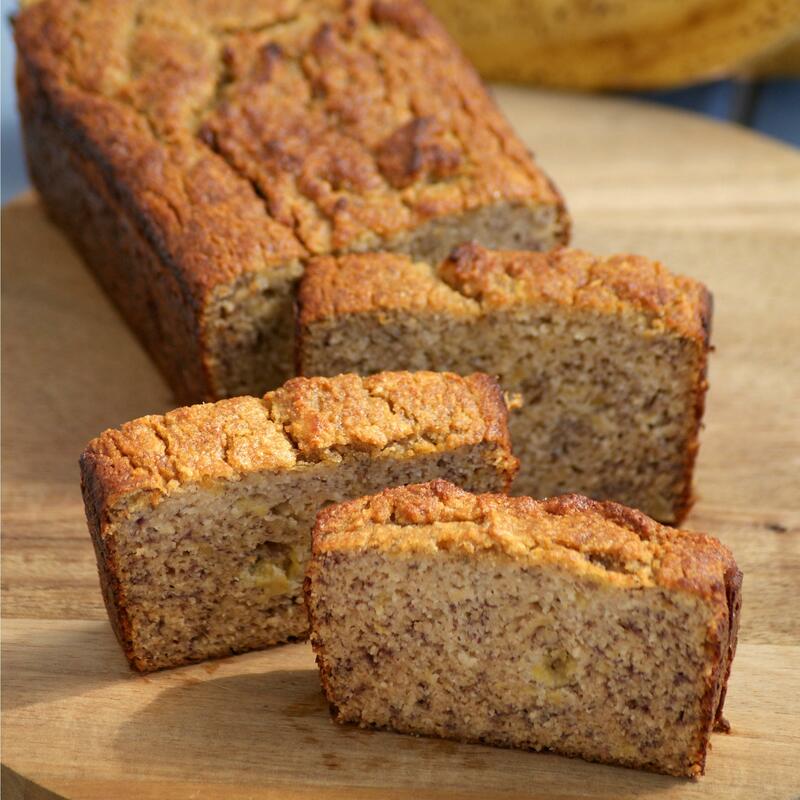 Recently I've been trying to perfect a paleo banana bread recipe for you all as many readers have asked me for a Healthy Coconut Flour Banana Bread Recipe. I didn't want paleo banana bread that used sixteen eggs or umpteen different hard to find flours - and I didn't want half a pound of butter in it either. I was on a mission. A mission to create a healthy paleo banana bread recipe that had the least amount of ingredients possible, was fool proof and wasn't full of butter, oil or eggs. And boy, oh boy, did I succeed. It's moist (and I hate that word, but it's necessary), fluffy yet just perfectly dense (like good banana bread should be), can be toasted to perfection or eaten on as is and it makes your kitchen smell like banana bread heaven. 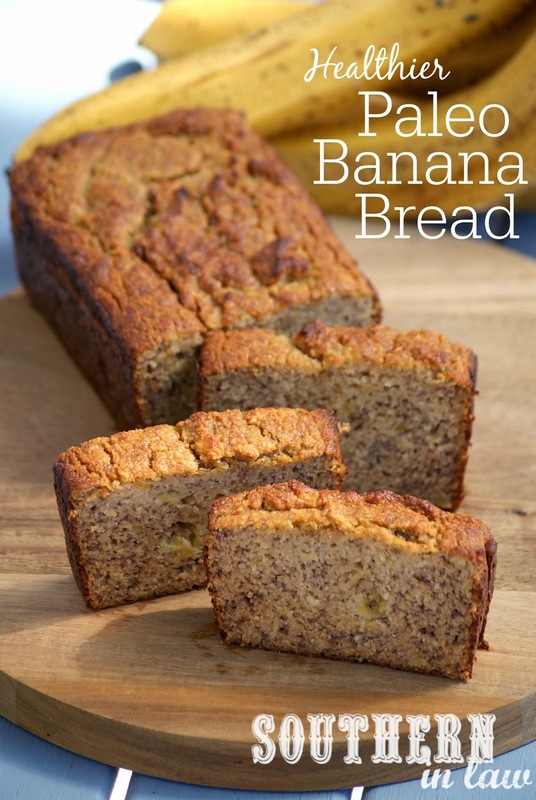 Not to toot my own horn or anything (okay, I'm totally tooting my own horn) but this is the best Paleo Banana Bread Recipe I have ever tasted. You cannot for a second tell that it's grain free, gluten free, lower fat or lower sugar - you certainly cannot tell it's low carb and you seriously can't tell it's healthy. Best of all, even the coconut hating husband loved it. 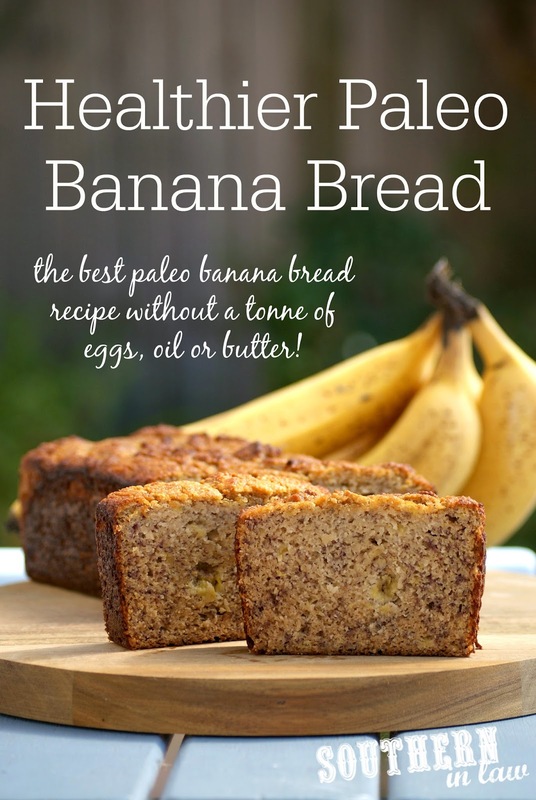 Now whilst I still think my "The Best Healthy Banana Bread Recipe" is the best ever regular healthy banana bread - this is the best paleo version - and I'm seriously having trouble deciding which I like best. I never thought it would happen, but I'm a paleo banana bread convert. In the past I hated what I'd tried - to eggy, too dense, too coconutty, too oily, too heavy, too blergh. I wondered about the sanity of those who swore by it until I perfected my own recipe. And when I perfected this recipe - I danced around the kitchen like a lunatic and eagerly watched my next batch of bananas so I could try the recipe for a second and third time. And when the next three batches (because this banana bread disappeared in the blink of an eye) were just as good as the original - I knew I'd done it.... so I danced some more. But I promise, you'll probably be dancing with me (in spirit - though, feel free to invite me over for a slice!) 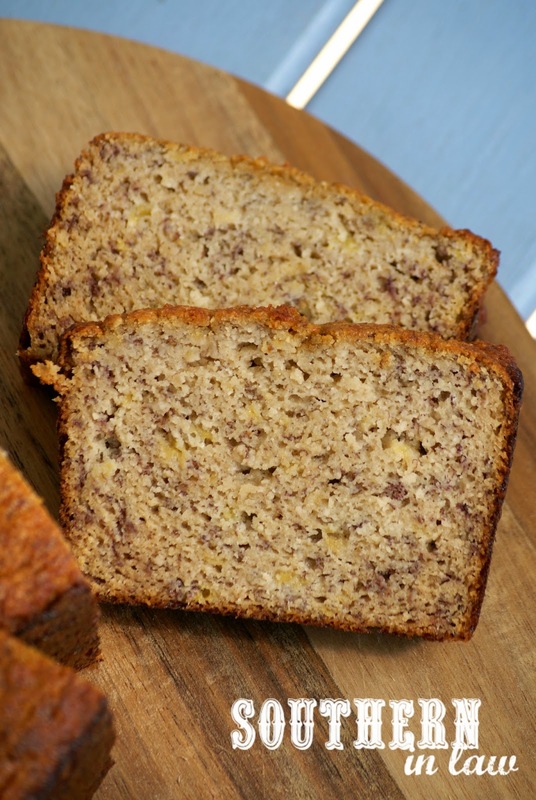 in your own kitchen once you make a loaf of this banana bread. The search for the Best Paleo Banana Bread Recipe is over - and this recipe is much healthier than most others out there! The recipe is lower fat, lower sugar, refined sugar free, gluten free, grain free and clean eating friendly and does not contain a tonne of eggs, oil or butter! The perfect texture and so easy to make! Grease and line a small loaf tin (we used thisdeep loaf tin) and set aside. Pour your banana bread mixture into your prepared loaf tin and bake for 40 minutes to an hour (keep an eye on it - cooking times will depend on your pan size) or until your loaf is cooked through and a skewer inserted into the middle removes clean. If your banana bread is browning too quickly but isn't cooked in the middle, cover it with foil. But tell me, are you a coconut flour fan? What's one recipe you wish you could perfect or make healthier?